Sarah Nader - snader@shawmedia.com A view of the Woodstock Moose Lodge Jan. 12, 2018. The Moose Lodge is celebrating their 100th anniversary pf the lodge with a Jan. 27 celebration of music, a cocktail hour, dinner and program, as well as fundraiser. 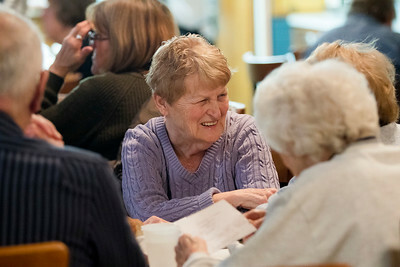 Sarah Nader - snader@shawmedia.com Ruth Rooney of Woodstock enjoys dinner during Friday's fish fry at the Woodstock Moose Lodge Jan. 12, 2018. The Moose Lodge is celebrating their 100th anniversary pf the lodge with a Jan. 27 celebration of music, a cocktail hour, dinner and program, as well as fundraiser. Sarah Nader - snader@shawmedia.com Daniel Besler of Woodstock brings out a plate during Friday's fish fry at the Woodstock Moose Lodge Jan. 12, 2018. The Moose Lodge is celebrating their 100th anniversary pf the lodge with a Jan. 27 celebration of music, a cocktail hour, dinner and program, as well as fundraiser. 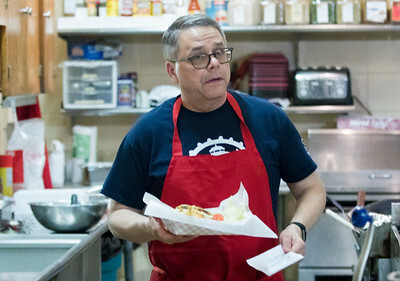 Sarah Nader - snader@shawmedia.com Peter Lundborg of Woodstock fries up some fish during Friday's fish fry at the Woodstock Moose Lodge Jan. 12, 2018. The Moose Lodge is celebrating their 100th anniversary pf the lodge with a Jan. 27 celebration of music, a cocktail hour, dinner and program, as well as fundraiser. 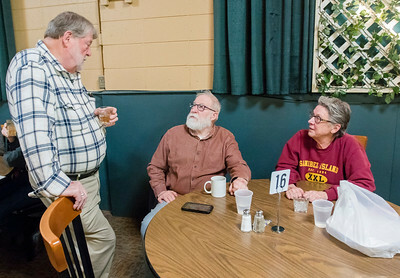 Sarah Nader - snader@shawmedia.com Gordon May (left) of Crystal Lake Jim Klein of Woodstock and his wife, Deb Klein, talk during Friday's fish fry at the Woodstock Moose Lodge Jan. 12, 2018. The Moose Lodge is celebrating their 100th anniversary pf the lodge with a Jan. 27 celebration of music, a cocktail hour, dinner and program, as well as fundraiser. 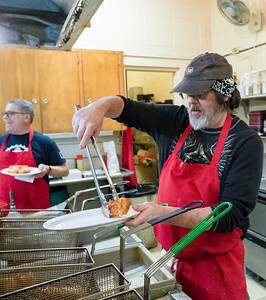 Peter Lundborg of Woodstock fries up some fish during Friday's fish fry at the Woodstock Moose Lodge Jan. 12, 2018. 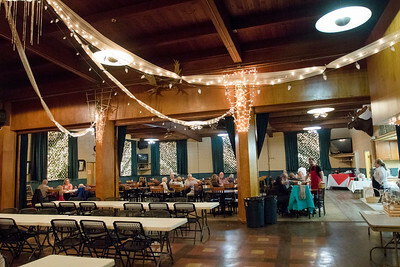 The Moose Lodge is celebrating their 100th anniversary pf the lodge with a Jan. 27 celebration of music, a cocktail hour, dinner and program, as well as fundraiser.